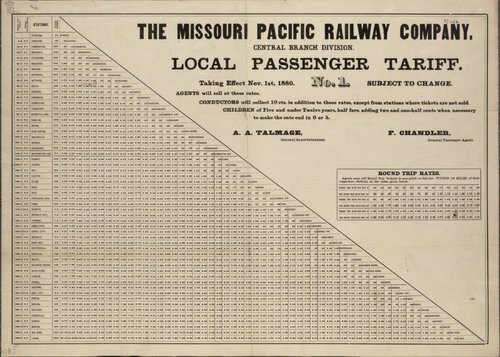 This large chart shows the rate of fare from one station to another on the Missouri Pacific Railway line. A separate chart is included for figuring round trip rates. Children between ages five and twelve have a special rate.